Schools and colleges encounter daily issues with parents and visitors bringing vehicles into the grounds and using designated parking facilities unauthorised. This is especially hazardous at drop-off and pick-up times, when the mixture of multiple vehicles on site and children on foot can be a health and safety nightmare. By installing electronic traffic barriers you can regain control of the cars entering your premises during school hours, thereby ensuring the safety of your students on site as well as controlling access to your valued and designated staff parking areas. Cheaper, safer and more user-friendly than electronic gates, our remote controlled traffic barriers are quick and easy to install. The opening cycle is fast and efficient meaning cars can enter the premises swiftly, avoiding traffic jams at main road access points, and they close quickly too, to maintain the security of your grounds. At night, or during school holidays, they can be locked to provide a solid, permanent barrier to block traffic from entering the site, especially when reinforced with a manual gate system. Clearly showing the strength of your security measures is a recognised deterrent in the battle with illegal access, and our traffic barrier systems can back up that visual message with real muscle! Criminals planning to steal computer equipment or building materials will consider a traffic barrier system a real deterrence, as they won’t be able to use a vehicle to force entry, as they could with an unreinforced gate. 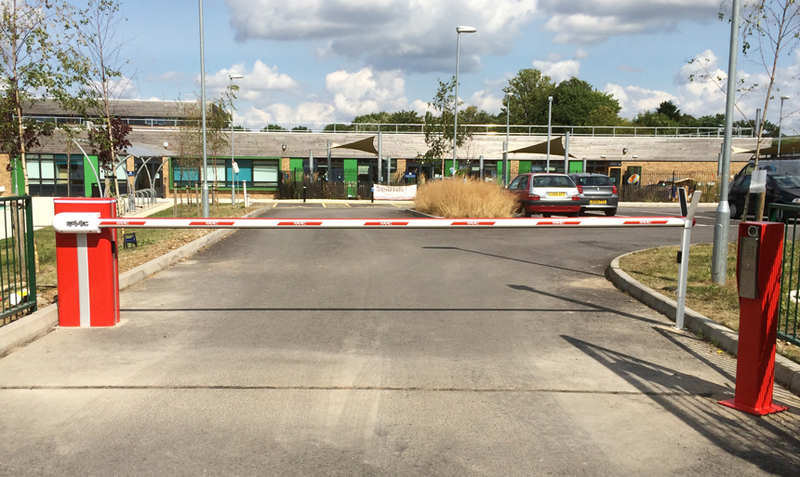 Such ram-raid robberies are increasingly common, so installing a traffic barrier system provides your school with a tried and tested method of prevention.